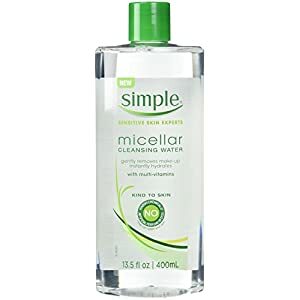 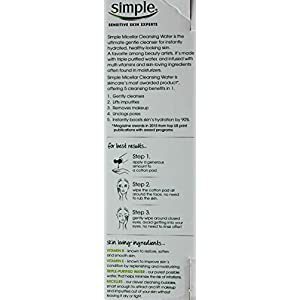 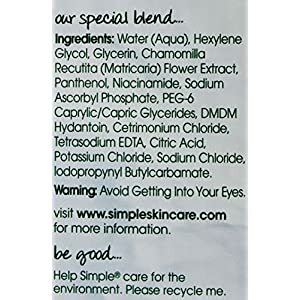 Simple Micellar cleansing water cleanses thoroughly and hyrdates skin while unclogging pores with a gentle formula. 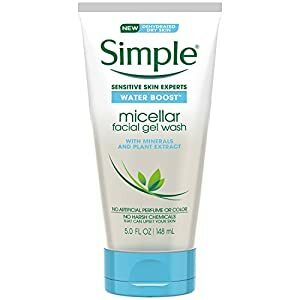 Made with skin-loving ingredients, it uses micelles, tiny molecular balls, to attract and life impurities and makeup out of your skin. 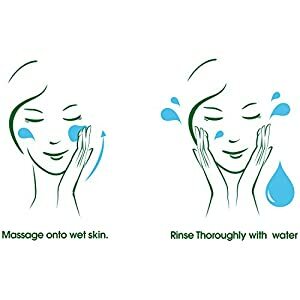 It is free of artificial perfumes, harsh chemicals and dyes that can irritate and upset your skin. This Micellar Cleansing Water is the ultimate gentle cleanser that instantly hydrates your skin while leaving it healthy looking.